Even though moving to a new city is exciting, it also means leaving cherished things behind such as family and friends; but most importantly, your favourite football club. It means not being able to enjoy the special feeling of match day and the live atmosphere of your home town stadium with its charming smell of beer, sweat and cigarette smoke. It means having to watch the matches over internet live streams by yourself, or if you are lucky, in a pub. No worries though, if you are craving this special atmosphere again, Budapest has a lot to offer. It is home to four Division I, five Division II, and eleven Division III teams, with the Hungarian National Football team having its home games in the Groupama Arena. 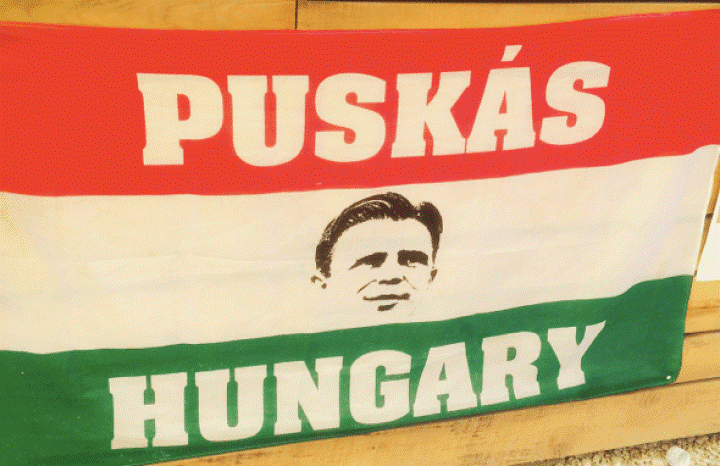 Hungary had its golden generation of football legends like Puskas, Czibor and Kocsis during the 1950s when the national team remained undefeated for 32 consecutive games, won the gold metal at the Olympic games in Helsinki in ’52, and reached the World Cup Final in 1954. Nowadays, there is nothing left of its former glory, being beaten by the Faroe Islands, Luxembourg and Andorra in 2017, resulting in failing to qualify forthe 2018 World Cup. 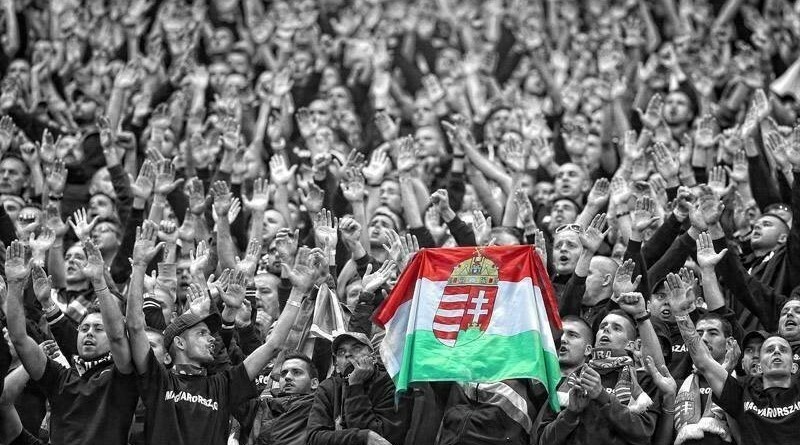 If these performances do not scare you away, Hungary will play Croatia on March 24 in Budapest and prices will range from 3,500 HUF to 30,000 HUF. The four Division I teams are Újpest FC, Ferencvárosi TC, MTK Budapest and Honvéd Budapest. 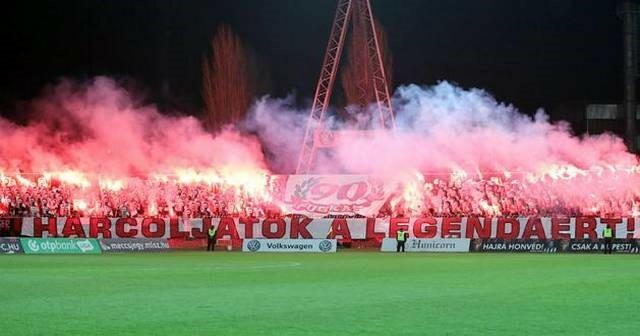 The most popular team by far in Hungary is Ferencvárosi TC, currently placed in number one. Ferencvárosi was founded in 1899 and up to this date has won the most league titles (29). They play their home games at the 2014 built Groupama Arena with a capacity of 23,700 seats. 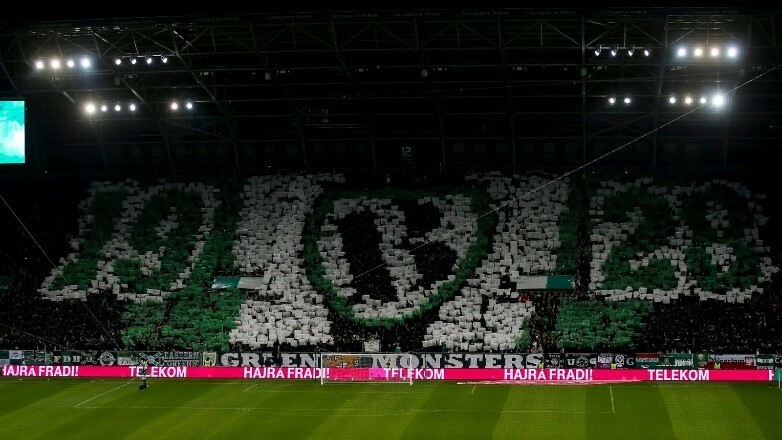 Due to their supporters being considered the most violent fans in Hungary and the club being fined multiple times for their actions, you will need to become a member of Ferencvárosi, for 1,000HUF, in order to be able to attend home matches. You can only get this supporters card in person at the ticket office at the Groupama Arena. Prices are divided into two categories, “A” for Ujpest FC, Budapest Honved, Videoton and “B” for every other team in the league. The prices for students vary from 2,000HUF standing to 5,500HUF seating and ticket prices increase the closer the match day comes. So, buy them in advance online to save yourself some Forints and valuable beer money! The second most popular team is Újpest FC, founded in 1885, and currently playing in their original 1922, 13,501-seater Szusza Ferenc Stadium. The prices range from 1,200HUF for a standing ticket to 2400HUF for a seating ticket. Be aware though, that they charge an extra 500HUF for high risk games, which includes all matches against the other teams from Budapest. If you don’t care much for high quality football nor the comfort of a fancy arena, MTK Budapest and Honvéd Budapest, currently placed fourth and sixth in the league respectively, are your best choice for a nice day out. MTK’s stadium has a capacity of 7,515 seats and Honvéd’s 9,500 seats, with prices ranging from 1,000 HUF to 5,000 HUF for your own private box. Neither arena offers an online shop and tickets need to be bought at the stadium. Now, with this information, nothing can stop you! So, with spring and summer around the corner, get out of those dark, smelly pubs of Budapest, grab your mates and get yourself some Vitamin D while enjoying a nice Saturday at a football match!